I can't think of a better way to kick off summer than a dinner under the stars in the Keeneland Paddock! 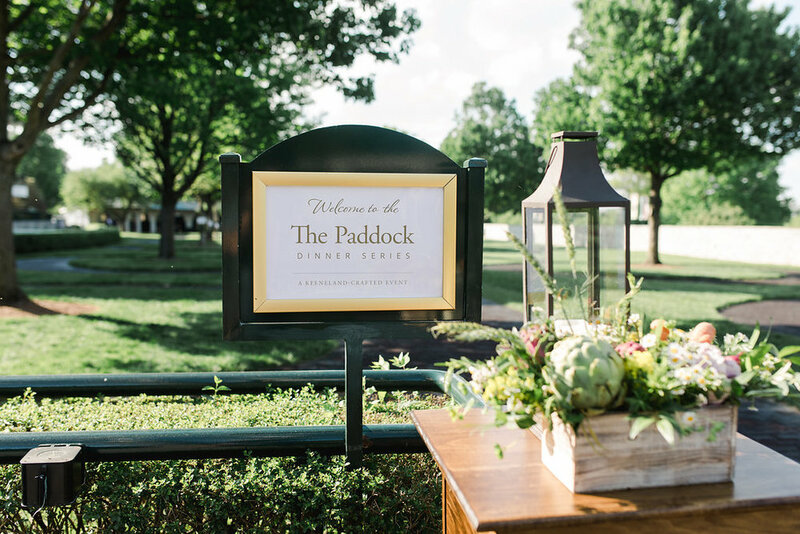 Thanks to Keeneland's new Paddock Dinner Series, you too can experience one of these intimate, family-style dinners right smack dab in the center of beautiful Keeneland. I'm not exaggerating when I say this is one of the best meals I have ever eaten in Lexington, and each course was better than the last. The decor and ambiance was also just perfect with live music, delicious appetizers and drinks being passed, colorful tablesettings, and twinkle lights strung across the Paddock. There are two more dates added for this dinner series coming up this summer (find tickets here) and I hope they will continue this tradition even into the fall too. You can take a look inside this magical evening below and be sure to hurry and grab your tickets for one of the upcoming dinner dates here.